The city centre has preserved its early 20th century allure, so that the visitors can personally see the places described and lived by Svevo’s characters, including Zeno Cosini, Alfonso Nitti, Emilio Brentani. The most haunted and cherished spots in his novels are: Piazza Unità d’Italia (at the time named Piazza Grande); the narrow streets of Cittavecchia, where he used to make his daily walks; Tergesteo, the former seat of the Union Bank where he worked for 18 years and got the inspiration for his first novel “A Life”; via S. Nicolò with the seat of the Berlitz School, where he met the Irish novelist James Joyce, a friend and an essential boost for his career as a writer. 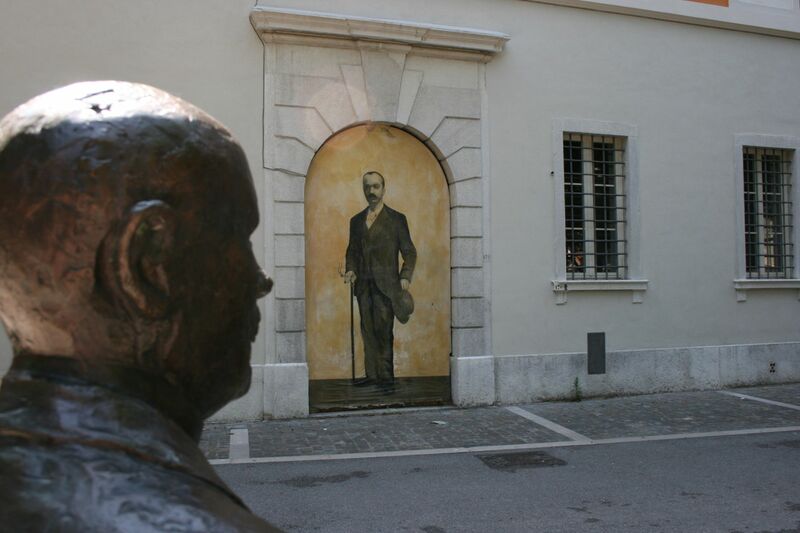 The lovers of literature and Italo Svevo’s books especially will feel like a character of his novels while walking in the streets of Trieste.